If you aren't much of a tea drinker you might be inclined to think there are just a few basic options to choose from. But you'll be in for an exciting surprise if you stop into David's Tea. The stores have so many options it almost feels like you're in a library of teas! There truly is something for everyone. Tea can help you wake up in the morning or relax and unwind at night. It can serve as a kick to the palate or a sweet, post-meal treat. With a basic understanding of some of the major options, you can quickly begin to pick out the ones you'll like most. 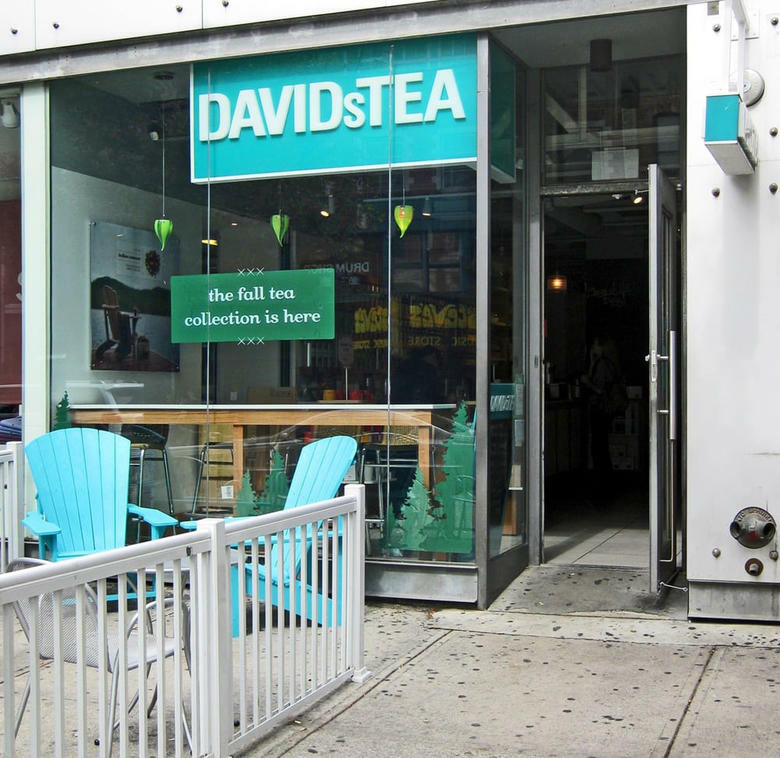 Walking into David's Tea for the first time can be a little overwhelming for first-timers but you'll quickly get used to it. A great way to get started is by taking a sniff of the seasonal samples set out. There are speciality teas selected each season and samples are put on display so you can smell them and see what appeals to you. Do you like the rich, earthy options? Or are the fruity, floral varieties more to your taste? Then you can tell one of the workers what one you liked and what you liked about it and they can quickly and efficiently pick out some others that might be to your taste. They'll definitely whip them off the shelves and let you smell them to get an idea of what they're like. And when you find one you like you can get exactly how much you want because it's all done by weight. Confident you like a certain one? Get a 50 gram bag. Think something might be to your taste but not quite sold? Just get 20 grams for now. And if it's your first time working with loose leaf tea, don't forget to get a steeper before you head out! You can order online from their website or visit them at one of their many Toronto locations. Happy sipping! Like the majority of teas, black tea comes from the Camellia Sinensis plant. But they have different tastes because they are more oxidized than other teas which give them their strong flavors. Most varieties contain between 2% and 4% caffeine which makes them great in the mornings. They also contain antioxidants and can increase urine output. Black teas are often consumed with milk or a dairy alternative and some people include sugar as well. 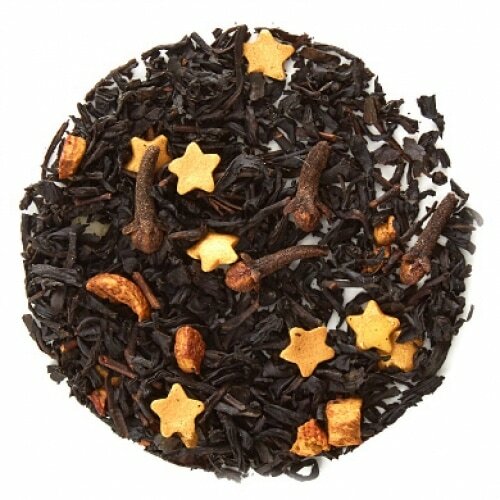 Tip: Check out their Glitter and Gold black tea. It has gold sugar balls mixed in that give it a lightly sweetened taste and actually cause it to shimmer. Now that's something delightful to wake up to! Green teas are also made of Camellia Sinensis but they undergo a less lengthy oxidization process which gives them a lighter, more crisp taste. All kinds of studies have been done over recent years that suggest green tea may lower the risk of cancer, heart disease and more. Although relatively new to the Western world, the beverage has been enjoyed in the East for over 4000 years. Some people love the taste of plain green tea while others find it too dry or bitter. Whichever kind of green tea you prefer, David's Tea will certainly have an option to suit your tastes. 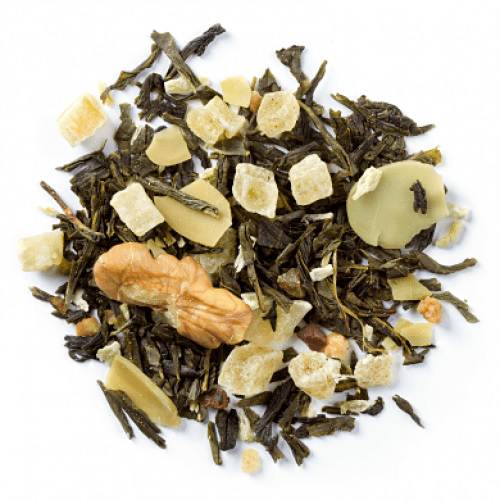 Tip: Toasted Walnut has all the health benefits of green tea but with the unique additions of toasted nuts and dried fruit which cut the bitterness beautifully for a warm, fresh and nutty midday beverage. White tea undergoes the smallest oxidization process of all the teas. Its base comes from the same plant as green tea and black tea but the lighter processing allows it to hold onto more of its antioxidants and causes it to have a lower caffeine content. Some say these properties make white teas the healthiest of the bunch. 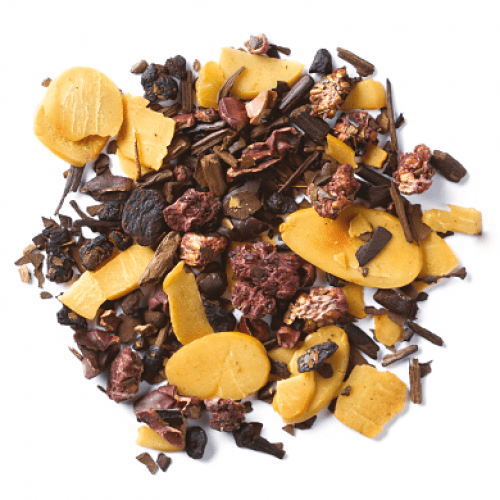 Tip: If you enjoy fruity teas you are bound to enjoy the refreshing taste of Mango Madness. Herbal teas can be made with a variety of ingredients, but never the Camellia Sinensis plant. 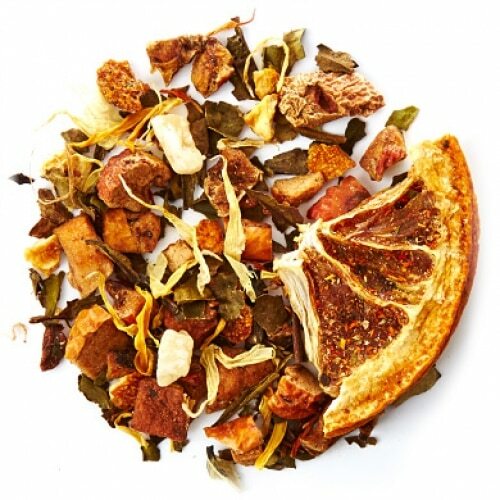 Instead, herbal teas are mixtures of flowers, leaves, herbs, spices, seeds and roots. The combinations are used in infinite ways in Eastern medicine in order to achieve different health benefits and flavors. So whether you need to comfort a sore throat, ease a painful belly or quiet your troubled mind, there's a herbal tea that meets your needs. 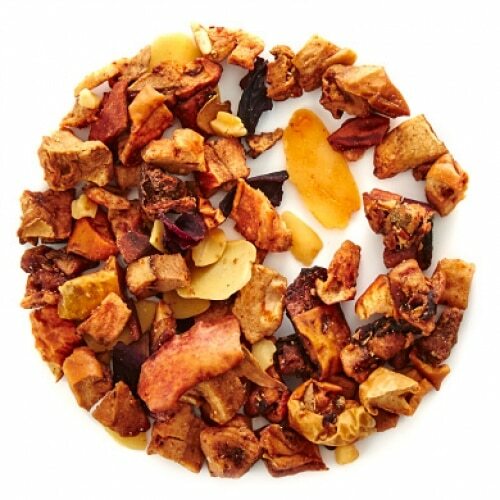 Tip: Arguably one of the best teas at David's Tea falls into the herbal category â and that's Forever Nuts. The sweet combination of almonds, dried apples, cinnamon and beetroot is simply delicious. And the fact it's caffeine-free makes it the perfect after-dinner treat! 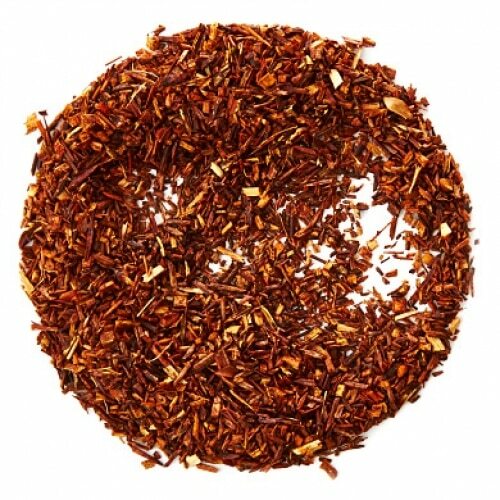 Undeniably the hardest to pronounce of all the teas, Rooibos (ROY-boss) has been popular in South Africa for centuries but only hit North America within the last few decades. It is made from the Aspalathus Linearis shrub whose leaves turn red upon being left in the sun. Rooibos teas are naturally caffeine-free which makes them great at the end of a long day. Tip: Organic Rooibos is clearly the best choice here. 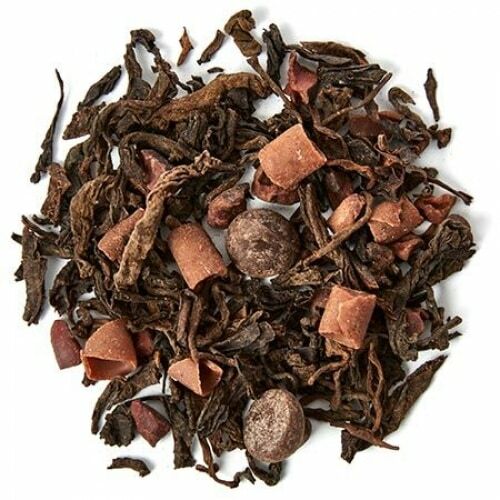 Pu'erh teas come from the Camellia Sinensis plant but they are cooked and then go through a lengthy aging process which contributes to their dark colours. Pu'erh tea is one of the oldest varieties in China and the aging process means the best kinds are rare and highly sought after. It has been used in China to aid digestion for over 1700 years. Tip: Hot Chocolate combines real chocolate curls with pu'erh leaves for a sweet beverage. Oolong teas are made of the Camellia Sinensis plant and undergo a medium oxidization process which puts them directly in between green tea and black tea. The leaves are left fully intact and then rolled up so they can later unfurl when placed in hot water. The most important thing to remember about oolong tea is the fact it can be steeped more than once. Oolong varieties cost more than other teas at David's Tea because of the high quality leaves and the fact the large, full leaves can be used at least two or three times before the flavors dissipate. Tip: Try Coconut Cream Pie for rich taste - also great for lattes! If you're looking for a substitute for your morning coffee, maté tea may be the answer. It's an equally strong stimulant as coffee and is loaded with antioxidants. 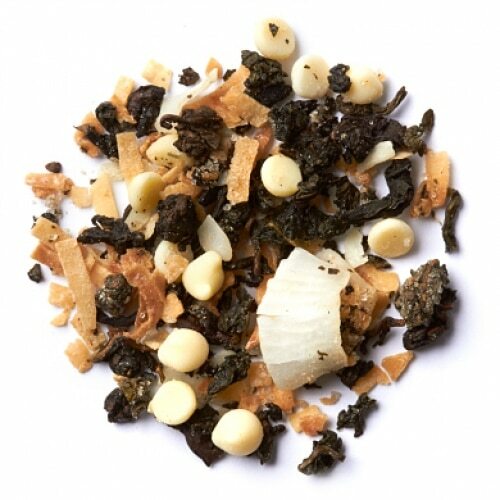 Maté teas are made of Yerba Maté which is a species of holly native to South America. Mate leaves undergo a very different processing than the Camellia Sinensis plant. The leaves are first blanched, then dried and finally put in aging chambers. The process can take anywhere from two to twelve months! Tip: Sometimes what you need in the middle of a long day is the perfect combination of sweet treat and energy kick. The Chocolate Rocket does just that! For more Toronto tea options, check out our guide to the Best Places to Buy Exotic Tea in Toronto. All pictures courtesy of David's Tea. 2012 December Krazy Kontest	New plastics have been added to the Blue Bin – now recycle even more!! Just discovered this store. I’m in tea heaven there! Bear Trap is amazing, Mothers little helper is Devine , I can hardly wait to try more!